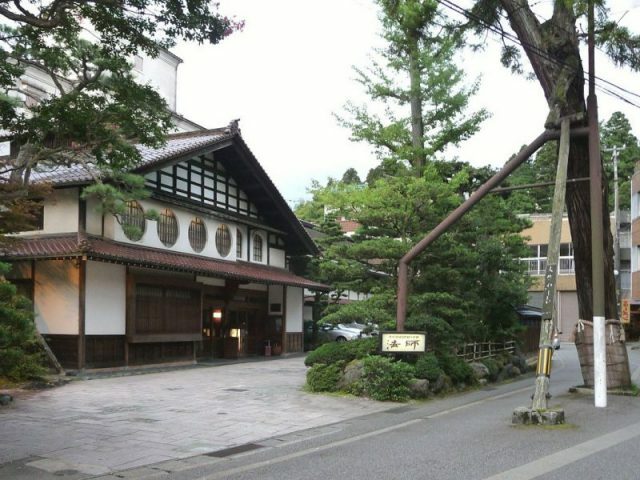 The Nishiyama Onsen Keiunkan hot spring hotel in Japan dates from the year 705, and has been in continuous operation ever since. It claims to be the world’s oldest hotel, and one of the most ancient businesses still running. 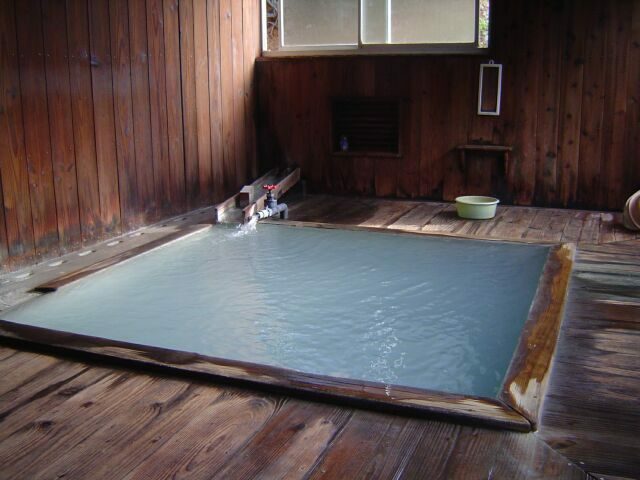 According to JapanVisitor, we need to delve into the Onsen hot spring culture first, to understand how the spa kept going in the mountainous heart of Japan’s main island. Remarkably, it still belongs to the same family after 52 generations. An Onsen is a thermal hot spring with water warmed by rocks heated by our planet’s fiery heart. Japan has literally thousands of these springs. In ancient times, warriors came to them to relax after battle, and thank their gods for their survival. Onsens therefore have a strong bond with Japanese history and religion. This may be one of the reasons why Nishiyama Onsen Keiunkan is still going after 1,300 years, but why this one particularly. According to National Geographic, the world’s longest running hotel is on one of the ancient routes leading to Mount Fuji. The cone-shaped mountain is an icon of Japanese culture. 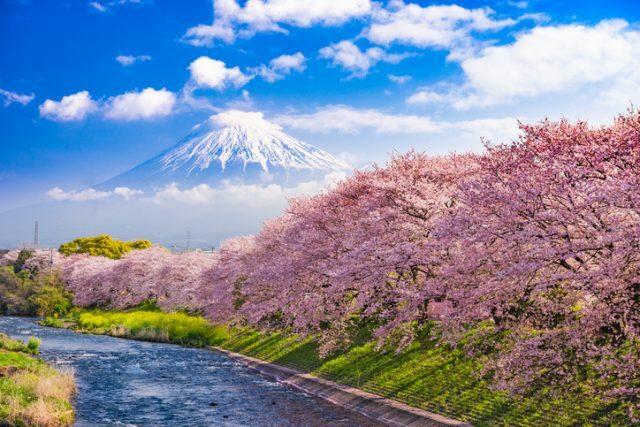 The Shinto faith regards Mount Fuji as “one of the gods born when the earth was chaotic.” It became a place of pilgrimage for emperors, while ancient samurai used the slopes for battle training. 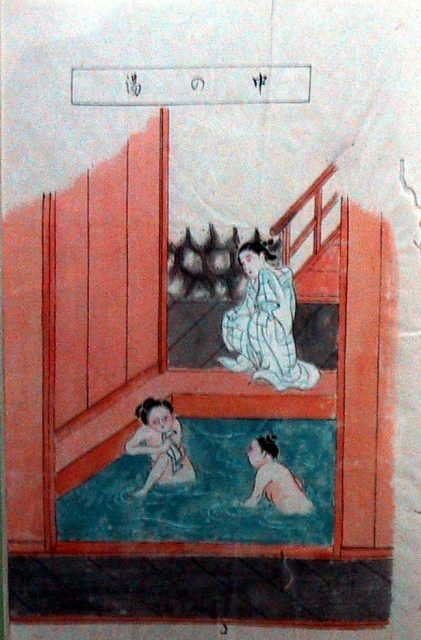 Wealthy Japanese noblemen flocked to the Nishiyama Onsen Keiunkan hot spring after Fujiwara Mahito began offering lodgings in 705 AD. 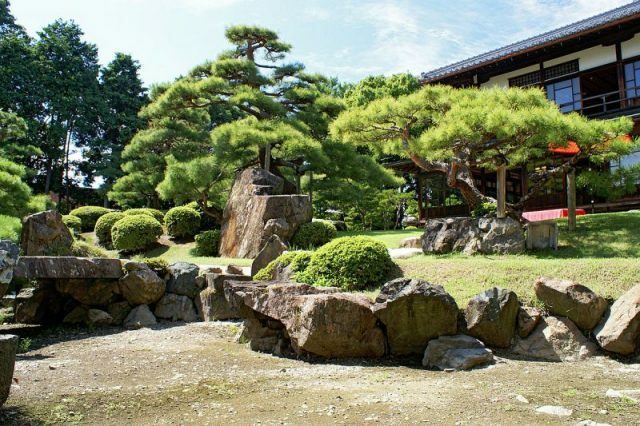 Since then, it has hosted important guests including fierce samurai warriors and all-powerful emperors. The building has been knocked down and replaced many times but the location and the views remain the same. 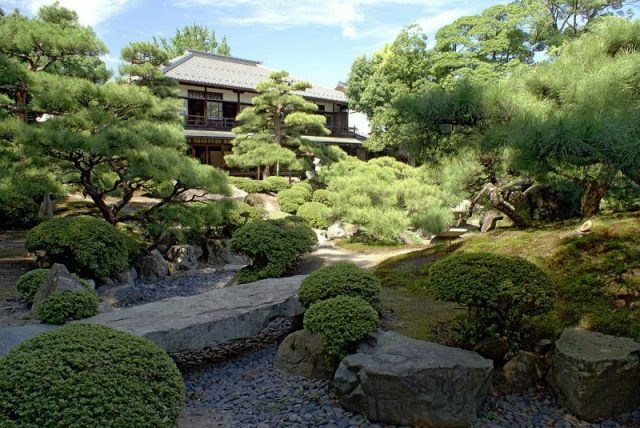 The family insists the founder Fujiwara Mahito was the son of a personal aide to Emperor Tenji in the seventh century. Emperor Tenji was a powerful warrior, but also a famous poet renowned for writing the first legal code. Perhaps his generosity towards his aid’s son was the springboard that enabled a young man to offer lodgings in such a remote place. 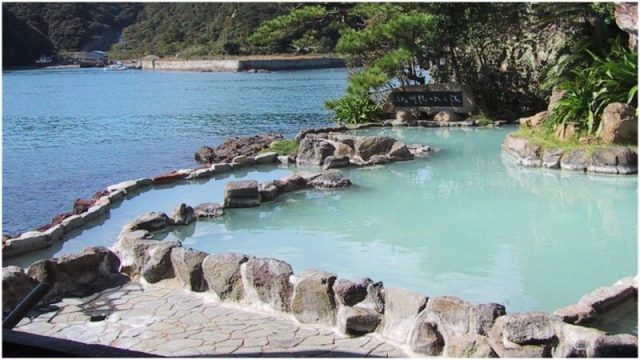 Japanese hot springs found favor with soldiers to ease aching muscles after military exercises and battles. They must have seemed miraculous, especially on cold winter nights when their only other source of warmth was a flickering campfire. The hotel website claims: “The hot spring has flowed freely without interruption since then, and is loved by many townsfolk, military commanders and cultured peoples as a secluded place deep in the mountains of the Kai region.” The first shōgun of the Tokugawa shogunate government, Tokugawa Ieyasu, visited it twice, where after the shogunate ruled Japan from 1600 to 1868. 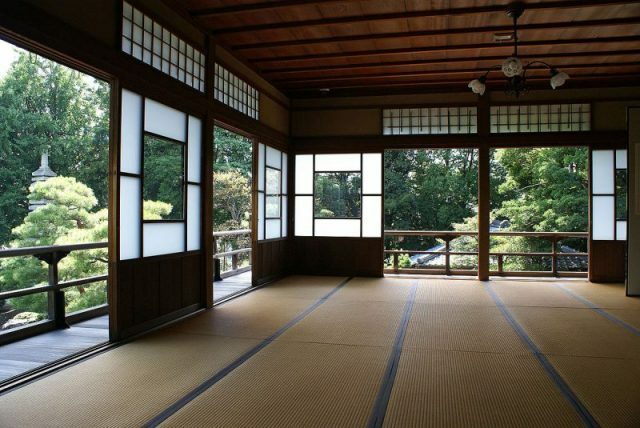 Such powerful alliances must have kept Nishiyama Onsen Keiunkan well provided with wealthy guests, as it continued to develop into the luxury hotel with distinctly modern prices standing on the site today. There are now four outdoor baths and two indoor ones, fed by four natural hot springs. The waters are still rich in sodium, calcium nitrate and chloride sourced from Earth’s fiery magma. Guests sleep on mats in rooms spacious for the lack of furniture. They dine on a “minimalist banquet” of seasonal foods from the mountains and rivers in season. If you visit, leave your shoes at the entrance and be willing to adapt to the etiquette of the onsen. Rinse yourself off first in a shower while sitting on a stool or tub before entering the water. You may cover yourself with a small towel while walking to the baths. Ask about etiquette at the hotel reception. 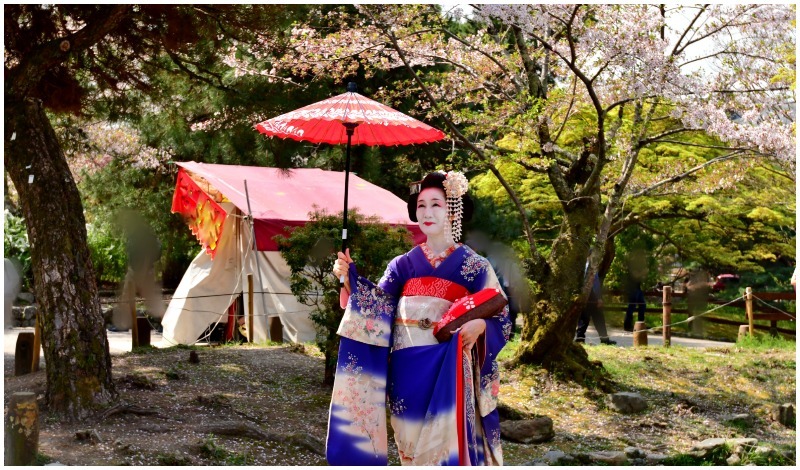 Many Japanese visitors prefer silence as they commune with the spirits of the past. Listen carefully, you may hear the voices of samurai warriors celebrating a glorious victory over their foes.